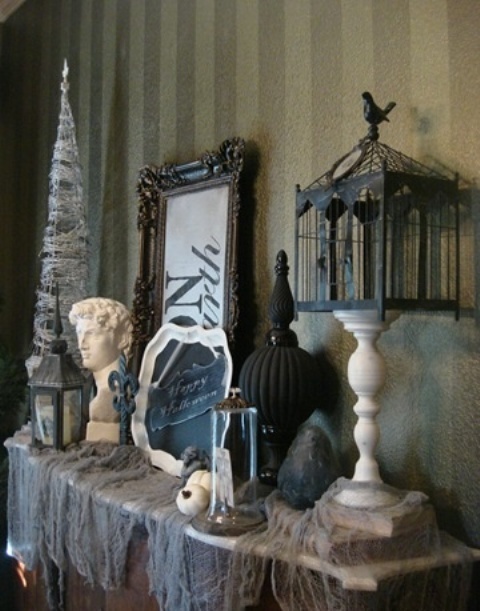 Vintage décor ideas are very popular today and many designers use them for creating. 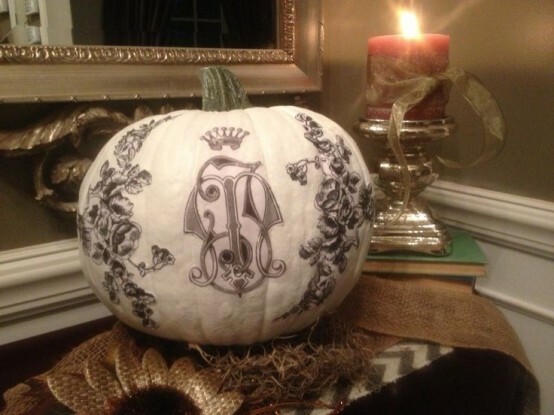 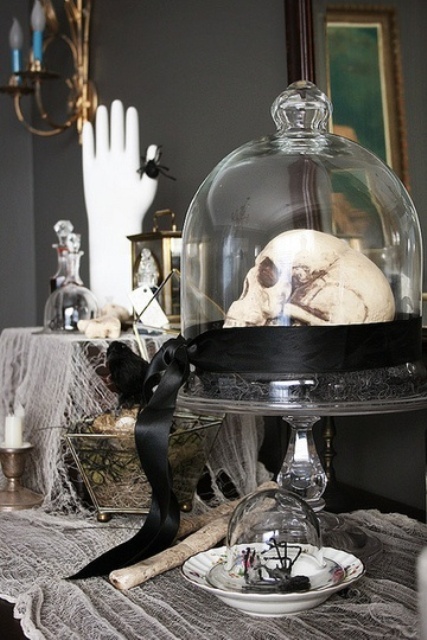 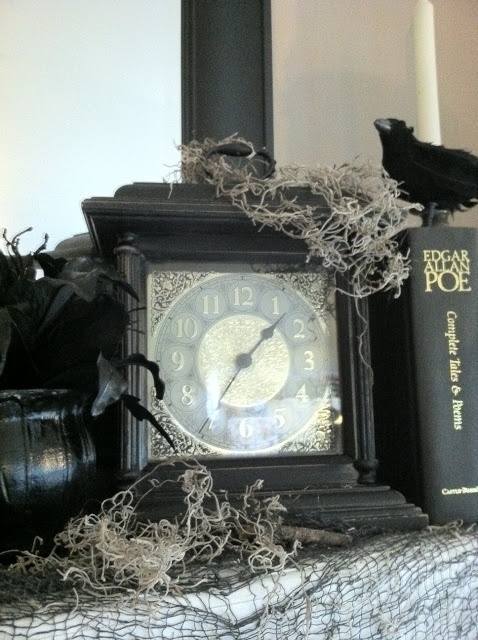 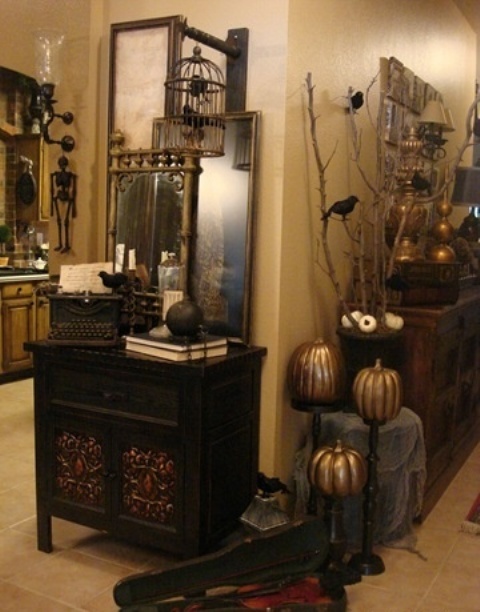 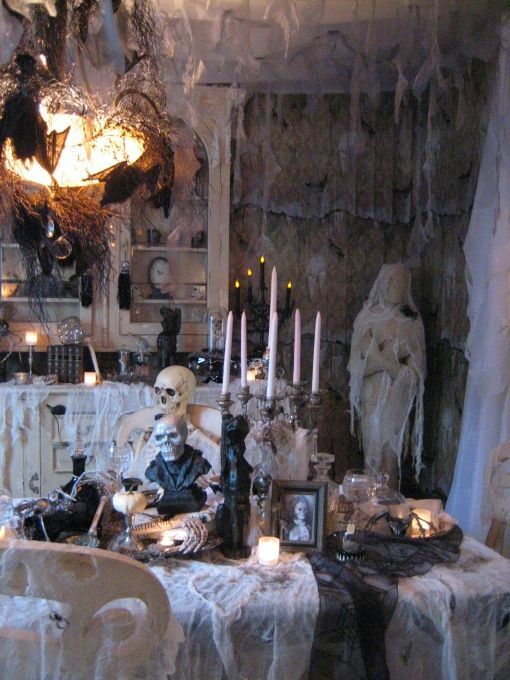 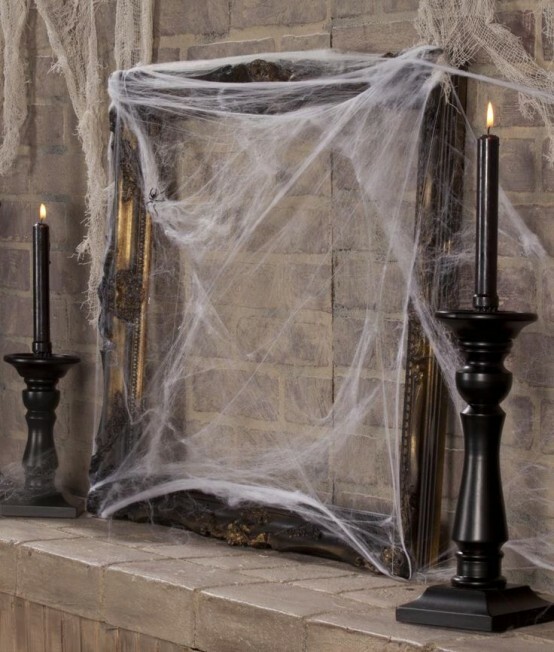 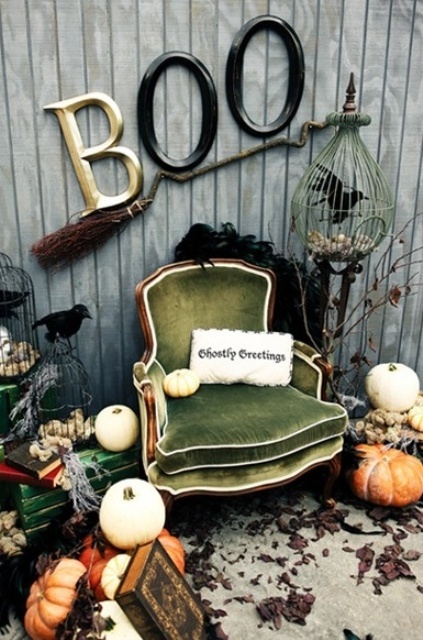 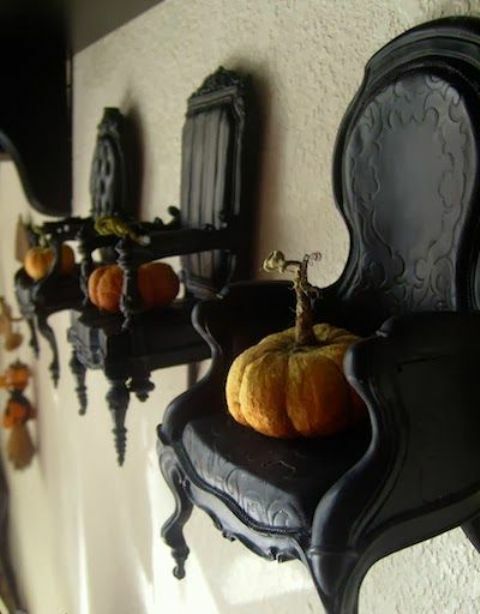 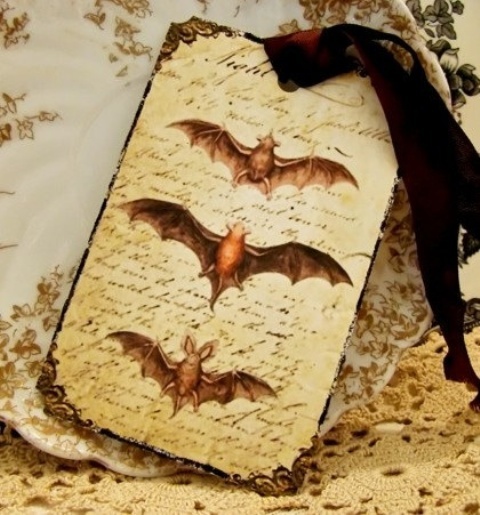 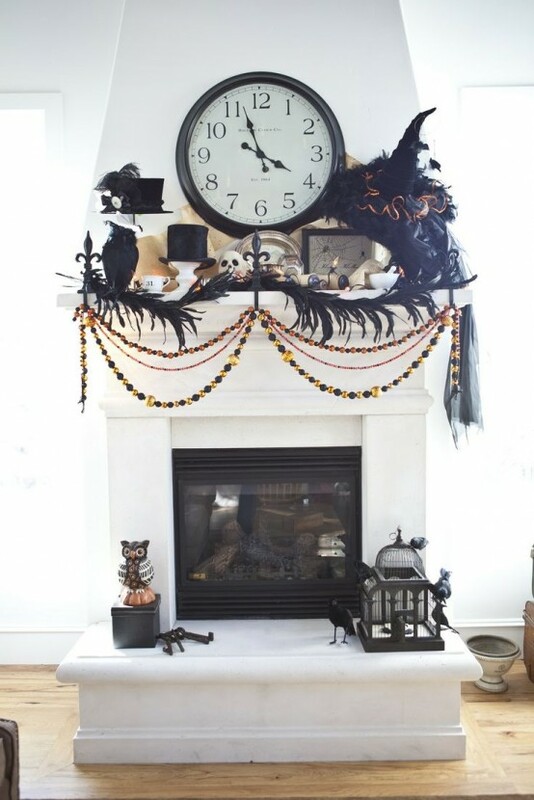 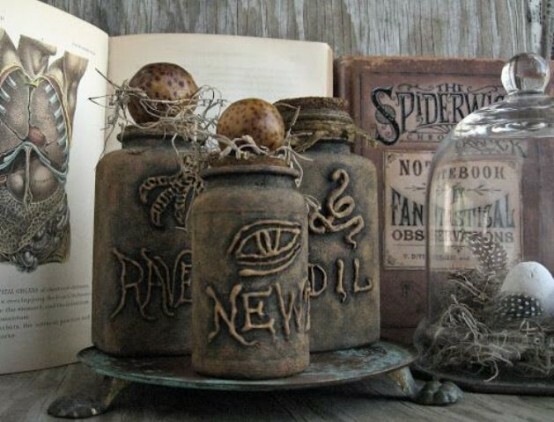 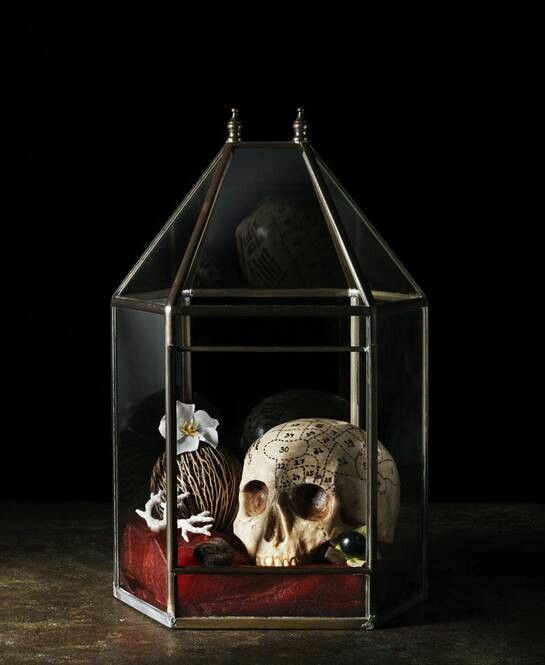 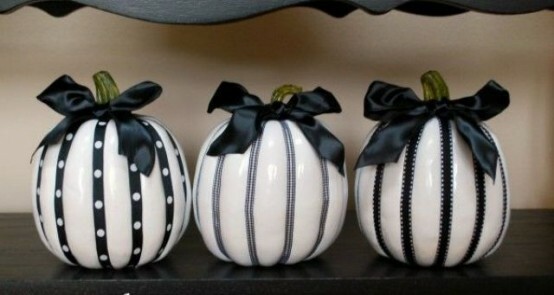 Feel a designer and organize your own vintage Halloween! 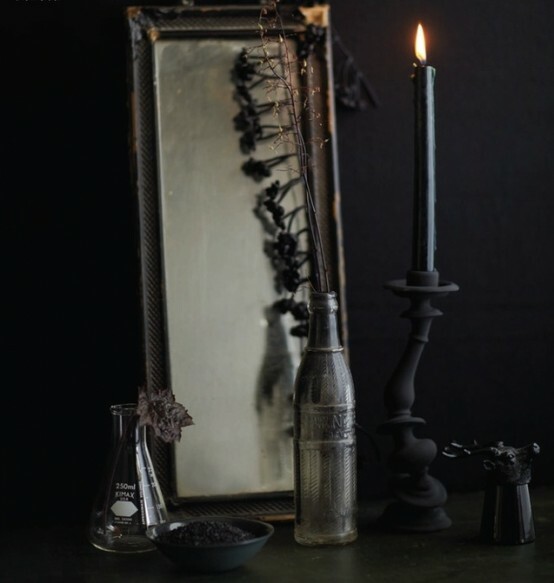 First look for some old things that your granny or great-granny could leave – they can help you: old photos, tableware, statuettes and candleholders. 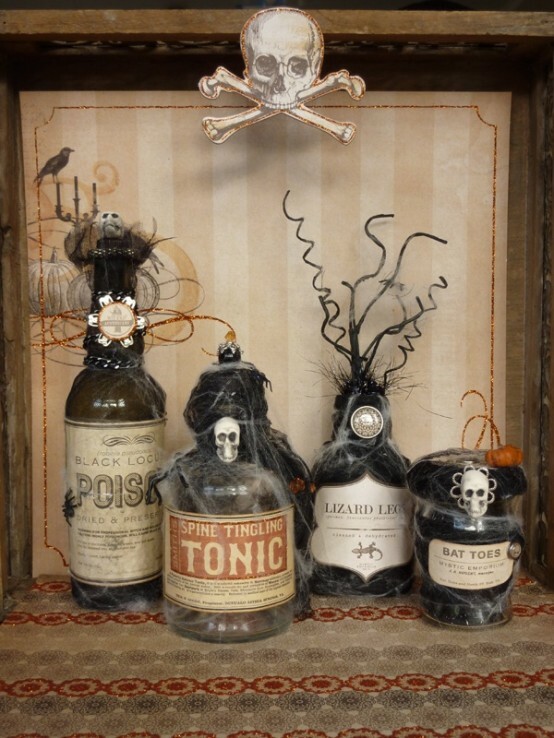 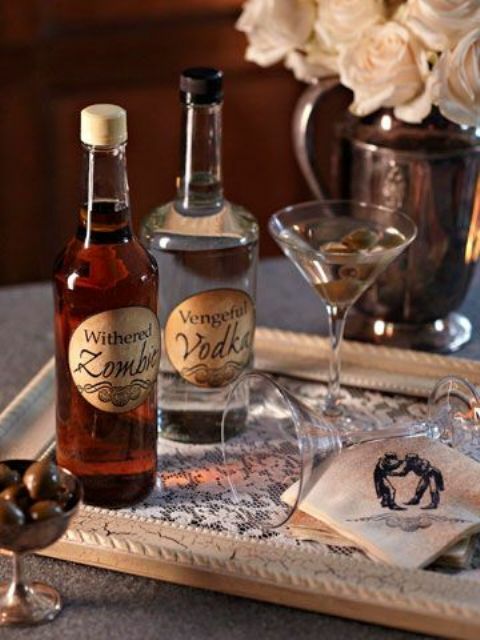 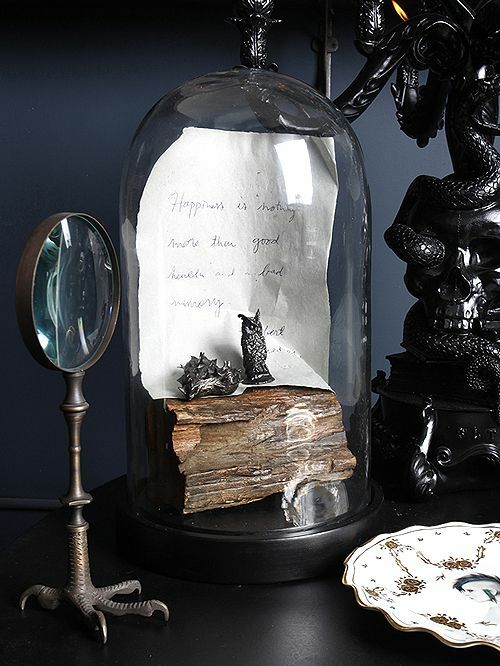 Add some skulls, spiders, bats and print some antique labels for the bottles. 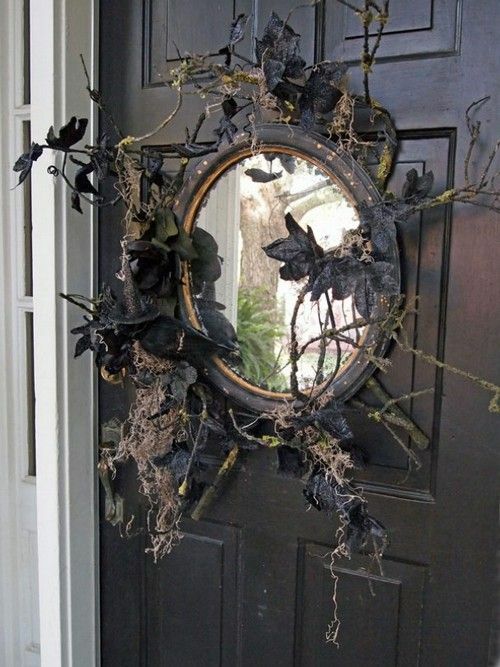 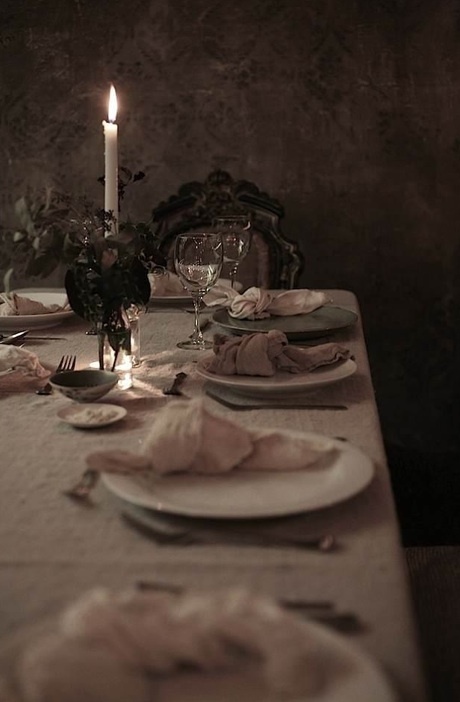 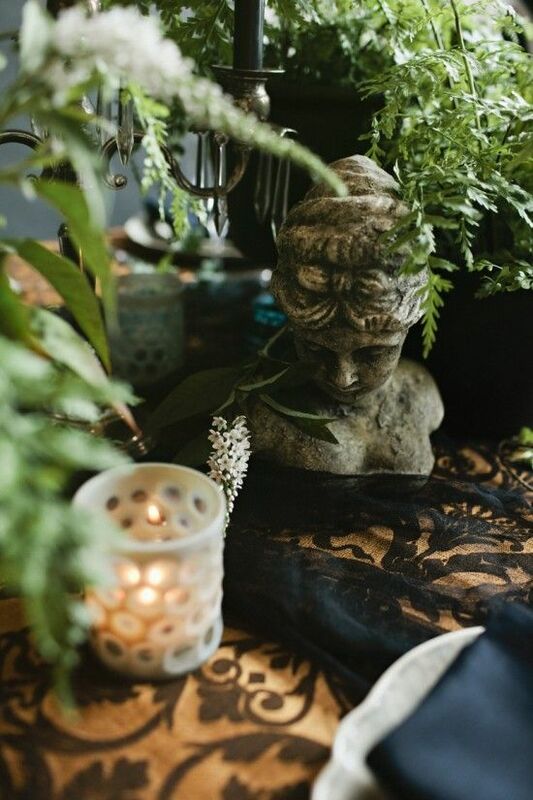 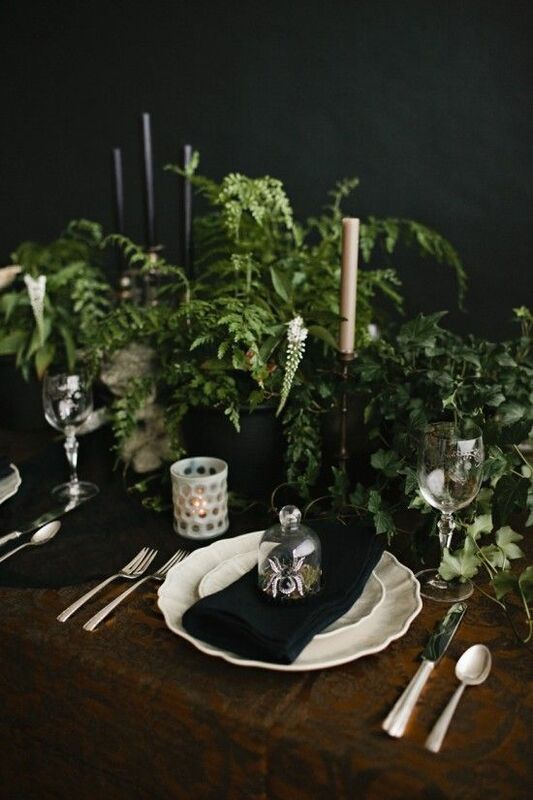 Hang a vintage mirror onto the door instead of a wreath; green plants will bring some freshness to the gloomy black table setting with silver tableware. 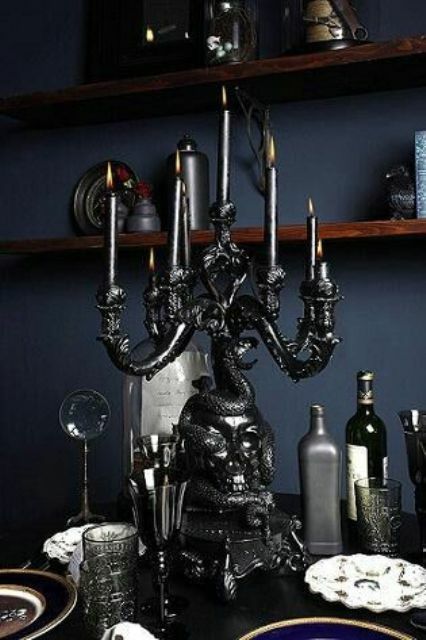 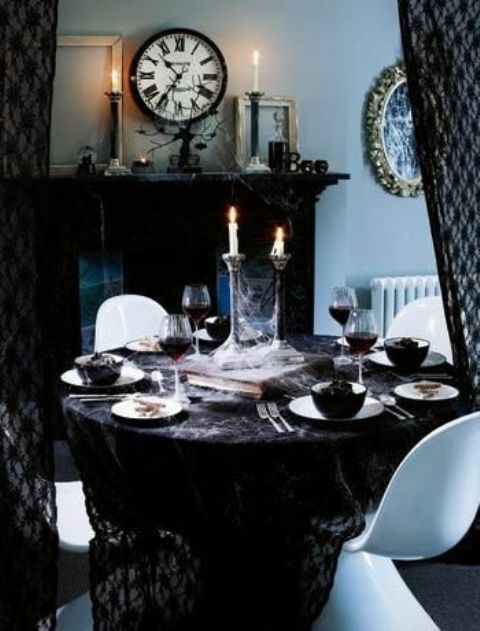 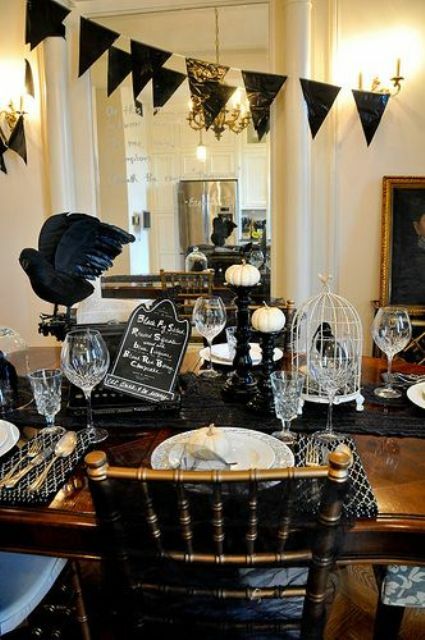 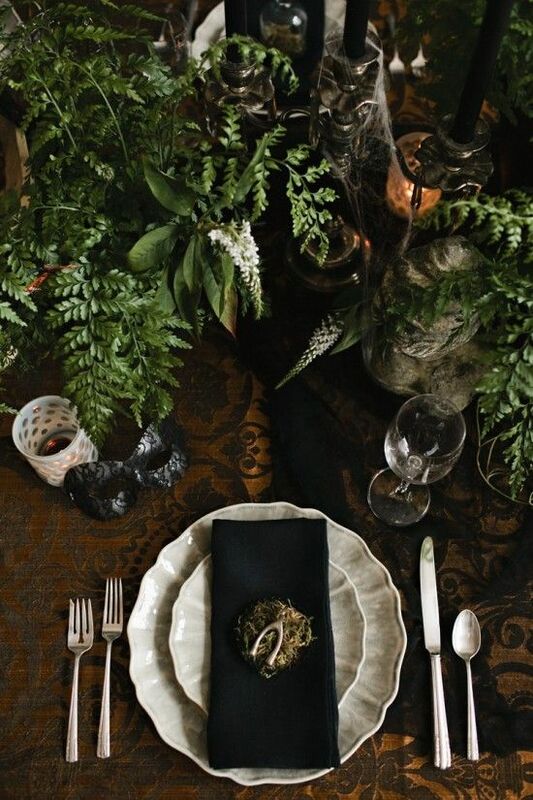 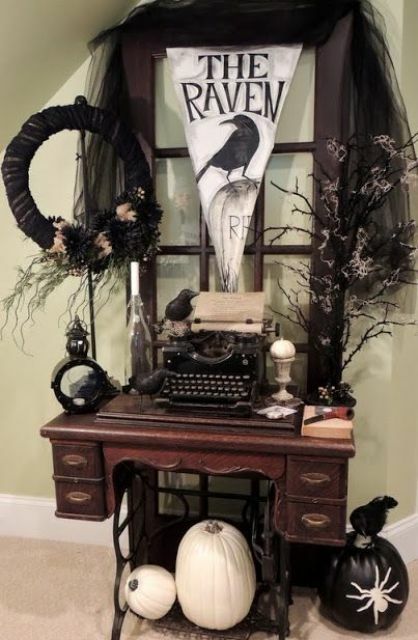 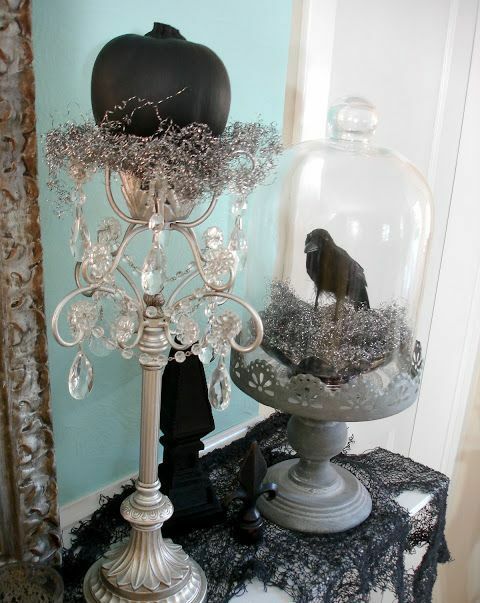 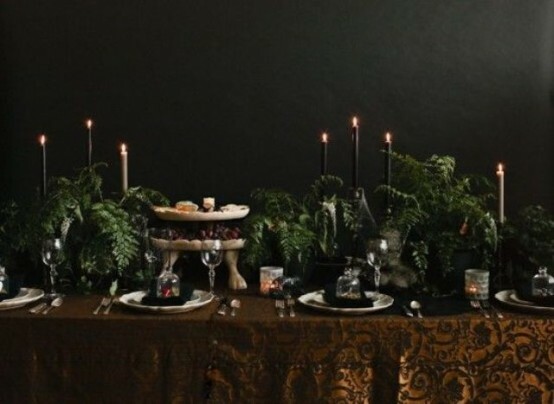 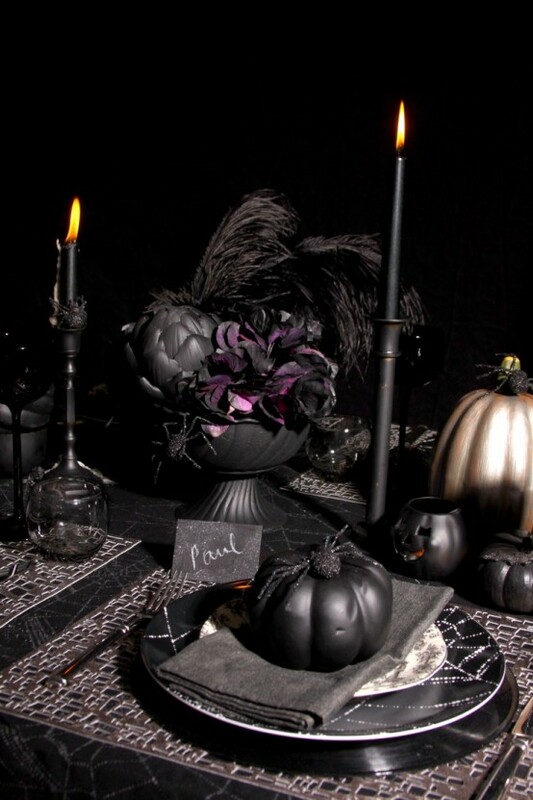 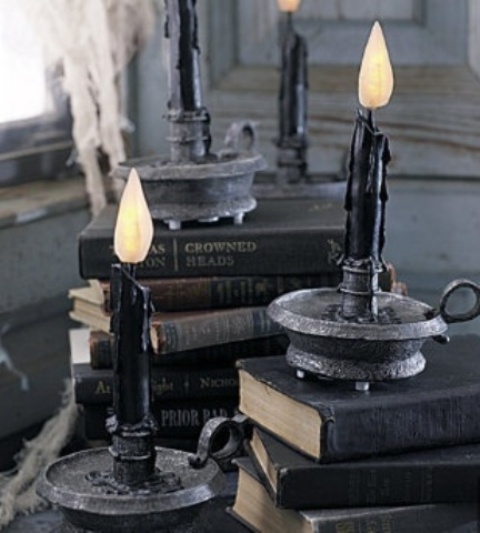 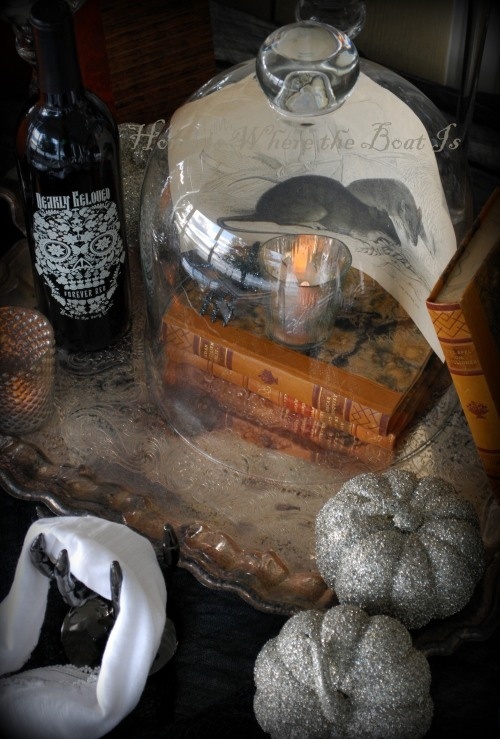 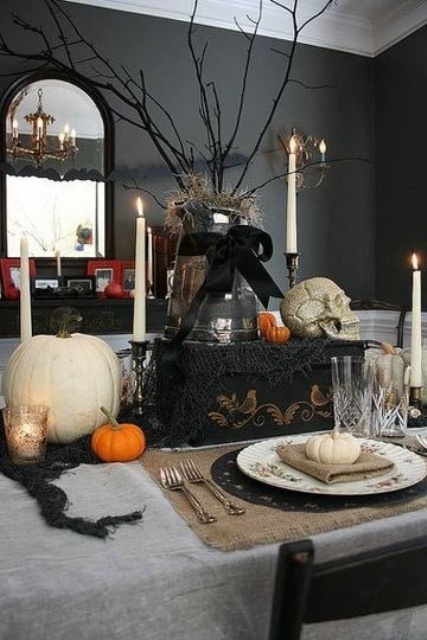 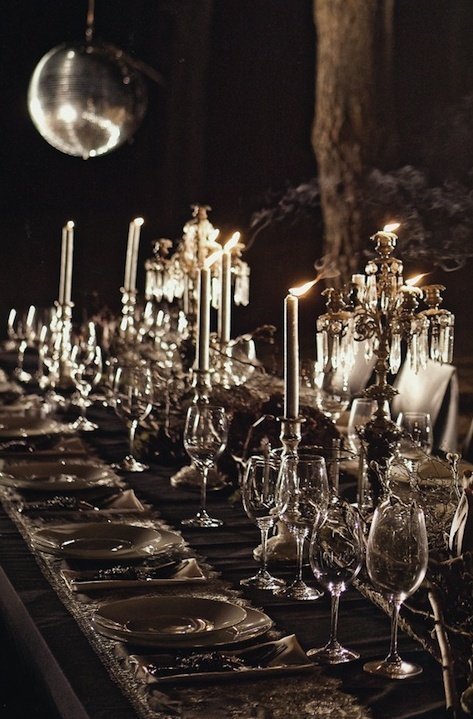 Silk black ribbon, ravens, exquisite candleholders and napkins with napkin rings will make your vintage Halloween charming and elegant.